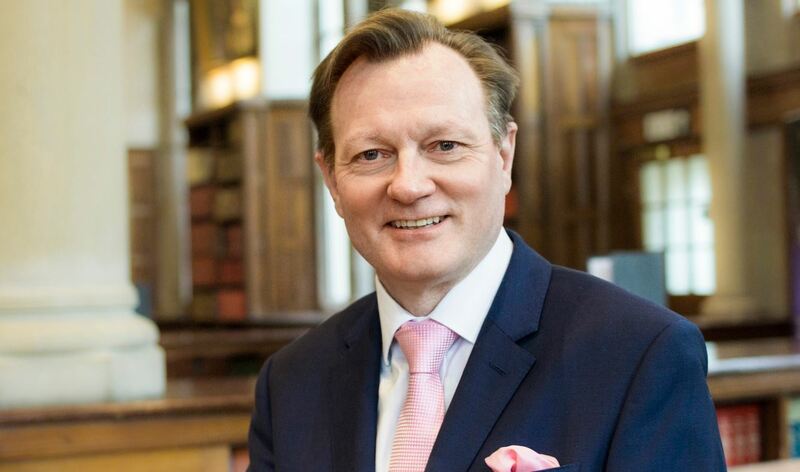 Professor Ian Greer, Queen’s 13th President and Vice-Chancellor, has taken up post (from 01 August) for what he has described as a 'new journey' for himself and all who work at the University. Speaking about his appointment in an email to staff, Professor Greer said: “I am really delighted to be joining such a truly wonderful University. Indeed, I consider myself enormously honoured and privileged to have been appointed to this position." A regular visitor to the University campus since his appointment was announced in January, Professor Greer said he was "grateful for the warm and engaging welcome I have received from staff and students alike." In the coming weeks, the new Vice-Chancellor will visit Schools and Directorates in the University to hear from staff on what they regard as the main opportunities and challenges facing them. He concluded his first message to the 3,800 strong workforce by adding: "Today is the start of a new journey for me and for all of us who work at Queen’s. I am excited about what lies ahead and I very much look forward to working with you to achieve our goal of transforming lives through education, research, and social responsibility." Professor Greer joins Queen's from the University of Manchester, where he served as Vice-President and Dean of the Faculty of Biology, Medicine and Health since 2015. A graduate of the University of Glasgow, he was appointed a Research Fellow at the Department of Medicine, Glasgow in 1982 and became a lecturer in Obstetrics and Gynaecology at the University of Edinburgh in 1987. He returned to the University of Glasgow in 1991 as Head of the Department of Obstetrics and Gynaecology and held the Muirhead Chair of Obstetrics and Gynaecology from 1991 until 2000. He became Regius Professor of Obstetrics and Gynaecology in 2001, and Deputy Dean in the Faculty of Medicine in 2003. In 2007, he was appointed Dean of the Hull York Medical School before moving to the University of Liverpool in 2010 where he was Pro-Vice-Chancellor of the Faculty of Health and Life Sciences and Provost for Research from 2013. Professor Greer’s clinical practice and research focuses on medical disorders in pregnancy, and women's vascular health, particularly in relation to haemostasis and thrombosis. A short video of Professor Greer, recorded on his appointment, is available on the University website here. Media enquiries to Queen’s University Communications Office, telephone: +44 (0)28 9097 2642.